Learn how to play walking bass lines on the double bass with these free video lessons. These lessons are easy to understand and can make a huge difference to your playing. We teach you all the key aspects, so you can improvise swinging walking bass lines that your band members will love! 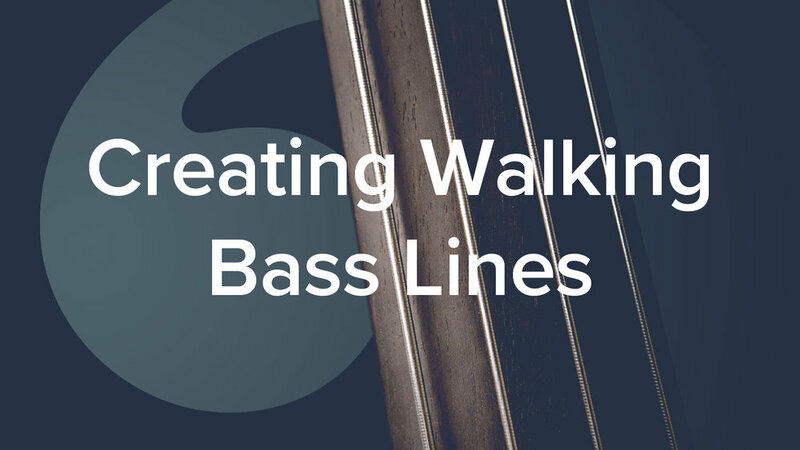 Ready to take a step-by-step course on walking bass? Remove any guess work and use our guided courses to get started in the best possible way. 40 backing tracks played by real musicians. Live guitar accompaniment in many of the lessons. 'Creating Walking Bass Lines' by Geoff Chalmers. 69 lessons, 6+hrs.